Photomicrographs of polished sections of specimen from Magma Mine, Superior, Ariz.
B (green) filter, Bausch & Lomb inverted photomicrographic camera. B. 32-millimeter objective, 3-minute exposure. x47. The black borders at the peripheries of pyrite grains are very pronounced. They are due to reflection from the beveled sides of the pyrite. (See p. 56.). 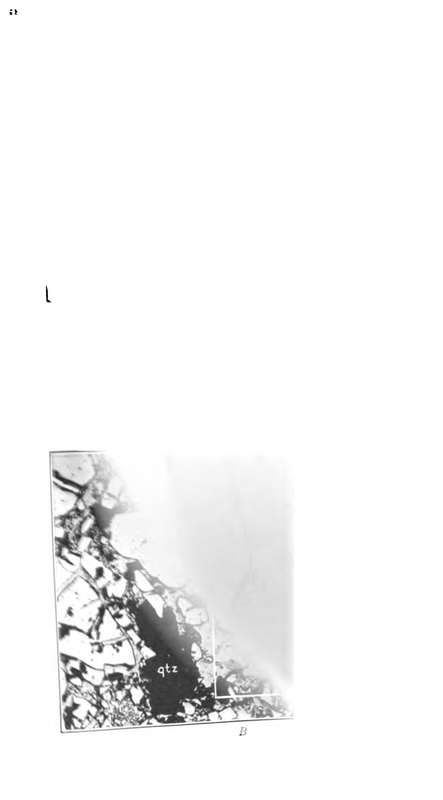 This is a scanning error, apparent in pdf but not Google Books page, here.